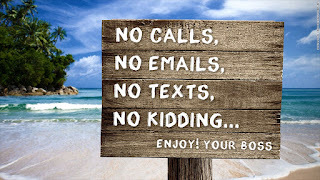 Blog Vacation Till August 28th! The 5S system is a good starting point for all improvement efforts aiming to drive out waste from the manufacturing process, and ultimately improve a company’s bottom line by improving products and services, and lowering costs. Quality is about prevention—you cannot "inspect" quality into a product. It has to happen before the inspection process. Success in your business and for that of your company is a matter of effective problem solving. If you do one thing well this is paramount. Coaching is one of the premier skills of a good Lean leader, but one that is often overlooked. A leader whose goal is to help employees fulfill potential must be an exemplary coach. Anyone who has worked in or led an organization's transformation understands change is not easy. People commonly resist change for a variety of reasons. Tips on reducing resistance to change. While a leader can be a boss, not every boss is a leader. The distinction between being a boss and being a leader may seem small, but it means the world to the people who work for you. A well-stated problem statement speeds a robust corrective action process. It helps identify potential root causes and eliminate bias and noise. 8. How Do We Promote STEM Careers? Companies can leverage their resources, including their employees’ time or donated funds and products, to support STEM initiatives in a variety of ways. A Visual Factory provides a clear and common understanding of goals and measures of the business. With this information employees are able to align their actions and decisions with the overall strategic direction of the company. Management must go to the Gemba to practice Lean management. Gemba walking teaches us to see in new ways what we have failed to see before. There you can identify problems, non-value added activities, or wastes through a deliberate observation of a particular area or process.